I start this blog with an organization that, well, is completely a biased choice. It frankly is the one started by my niece, Sarah Bergs, in South Africa. The name of it is Nourish. 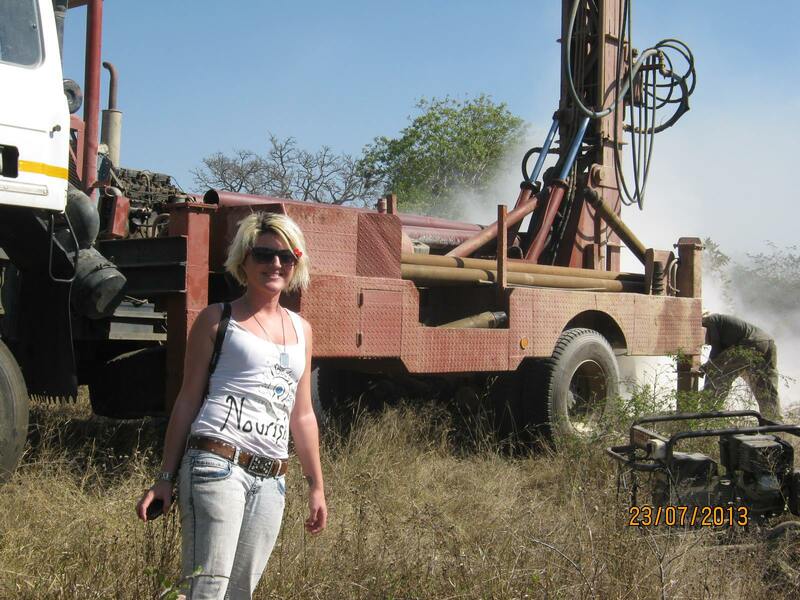 Sarah Dawn Bergs with the drill looking for water. Most of us have heard about the struggles in South Africa on some level or another; first with Apartheid, Nelson Mandela being jailed but later becoming president, to the AIDS crisis that is all too familiar in that area of the world. My niece is a native-born South African. My sister-in-law married a South African and has been there throughout all the changes. Sarah was born in 1988 right before the Apartheid system was coming to an end. She grew up in a land where things were constantly changing around her. She also grew up in the bush and gained a deep respect for nature and how we must all be mindful of how we treat our planet. On the local level she has made a difference in several communities near her but also in the neighboring country of Mozambique. 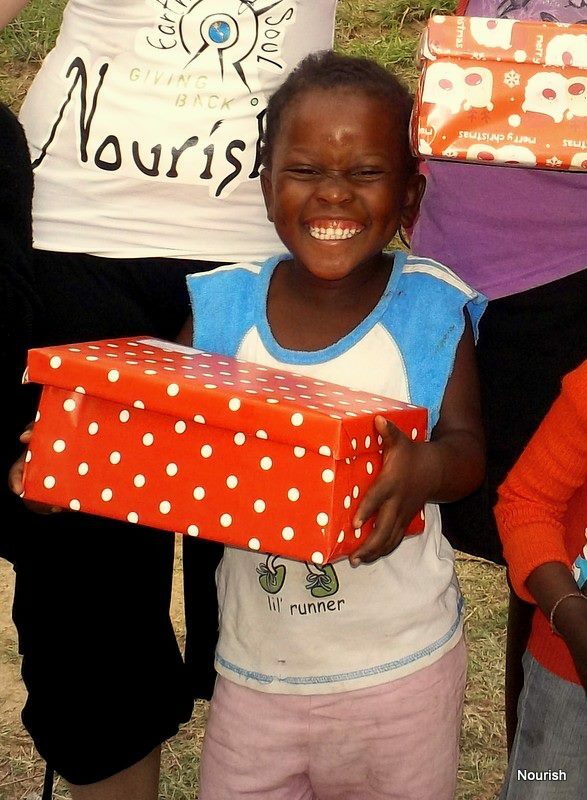 She has planted trees and community gardens, helped build a daycare (a crèche, in South African terms), and, additionally, provided school uniforms, hats & mittens in the winter, and flip flops for the summer (as most children do not have any shoes at all). All these things are making a difference in people’s lives, especially the lives of children. Since the organization is still in its infancy, I think she has only drawn a salary for herself for a few months and relies heavily on volunteers who believe in her dream. Most of the money she raises goes directly into helping the projects Nourish supports. I realize that I just started with a non-profit that is not US based and, therefore, is not one that could be used for tax deduction purposes, but it is one that hits close to my heart. I love Sarah, not just because she is my niece, but because she has one of the biggest hearts I know.